I never thought we'd see this day. Last night, after 15 1/2 innings of grueling play, the Dodgers were left with only one option on the mound. 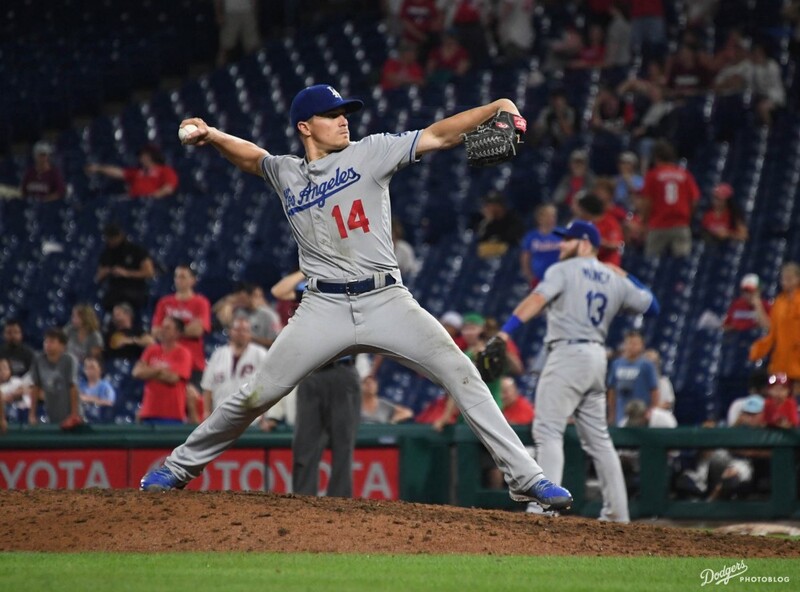 Kiké Hernández would have to pitch. The event was both glorious and sad. Kiké had often talked about this day coming, but I don't think he ever thought it would. "Has anybody else gone 0-for-7 and given up a walk-off home run?" asked Hernandez, who had always hoped to add pitching to his laundry list of assignments, but never imagined it would turn out like this. "I was thinking about my AB [popped out in the 16th] on the mound," he said. "Thinking we had another game in 11 hours and how I was 0-for-7. And this was my time to redeem myself and I didn't." This Day in Dodgers History: In 1956 Brooklyn outfielder Carl Furillo becomes the first Dodger to hit a home run at Roosevelt Stadium in Jersey City -- a onetime home field for 15 games from 1956 to 1967. Unfortunately, the Dodgers lost this game to Cincinnati, 2-1. In 2006 the Dodgers received starting pitcher Elmer Dessens from the Royals for Odalis Perez and a couple minor leaguers. Happy Birthday, Doc Reisling, Marv Rackley, Larry Sherry, Dave Patterson, Garey Ingram & Guillermo Mota! Podcast: Dodgers Nation - Not Your Typical Joe Davis Interview | Episode 12 | Blue Heaven Podcast (Podcast Link). Per Ken Gurnick at MLB.com; "Buehler back in mix, slated for Wed. start." Báez, who missed 35 games with right bicep tendinitis (retroactive to June 12), has made 30 relief appearances for Los Angeles this season, posting a 3.23 ERA (11 ER/ 30.2 IP) with 36 strikeouts. In other news, reliever Tom Koehler, who had yet to pitch for the Dodgers after hurting his shoulder during the spring, is officially done for the season, per Rowan Kavner at Dodger Insider. He had shoulder surgery yesterday. Here's an old friend alert. Former Dodger Nathan Eovaldi is heading to the Red Sox, per Jeff Todd at MLB Trade Rumors. Per Nick Friend at SportsPro; "LA Dodgers owners look to sell minority stake: MLB franchise approach potential Asian investors." A variety of investors from around the world have been approached, with the Los Angeles team looking to sell at a price that would see the business valued at more than US$2.3 billion it was purchased for in 2012.